On the 27th March, 10 Palestinian food industries presented significant savings in energy, water, and raw material achieved through SwitchMed’s MED TEST II project. 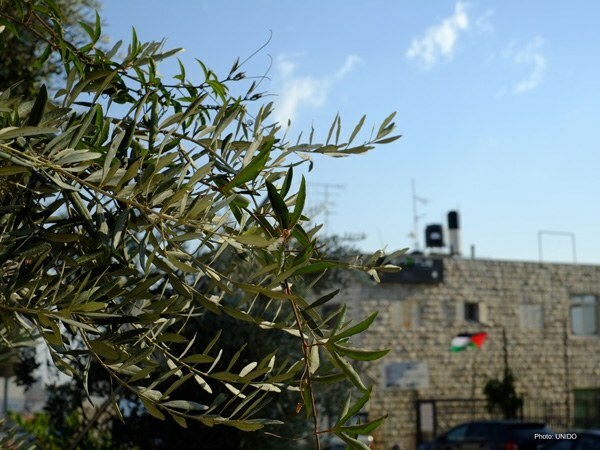 The project demonstrations of a resource efficient and cleaner production in the Palestinian food industry, have contributed to the preparations in establishing Palestine’s first national cleaner production centre. Characterized by an entrepreneurial spirit and a unique geographical location, the economy of Palestine could, under normal conditions, have developed towards a bright future. But wide-ranging political and economic constraints, restricted access to natural resources, and harsh restraints on the import and exports of goods have had grave impacts on the development of the country also jeopardizing the competitiveness of Palestinian businesses. Therefore, any step that could help transform the economy and industry in using natural resources, including land, water and energy, more efficiently, would not only affect the future development of the economy but also enable a much-needed re-distribution of resources to other parts of the society. But moving the society towards the benefits of a green economy requires the involvement of all actors, especially the industry. Since 2015, UNIDO together with the Palestine Academy for Science and Technology (PALAST) have showcased the significant potential for resource efficient and cleaner production in the Palestinian food sector. Applying the UNIDO TEST methodology, which is an integrated methodology that helps to enhance productivity by integrating practices and technology that lead to greater efficiency in the production, 10 companies in Palestine were able to receive training and guidance on how to set up an in-house system of monitoring and analysis of resource flows. The MED TEST II project was able to identify 92 improvement measures in the 10 participating companies, identifying savings in water, energy and raw materials to a value of 2.4 million euros.